"When you think about profitability, financial risk, earnings quality--seeing those consistent profits coming through--stocks like that will not only be able to capture upside, but also if the markets go down, they tend to do very very well," said Rogers. One ETF in particular that captures the essence of value investing via quality is the JP Morgan US Quality Factor ETF (JQUA) , which tracks the performance of the JP Morgan US Quality Factor Index. 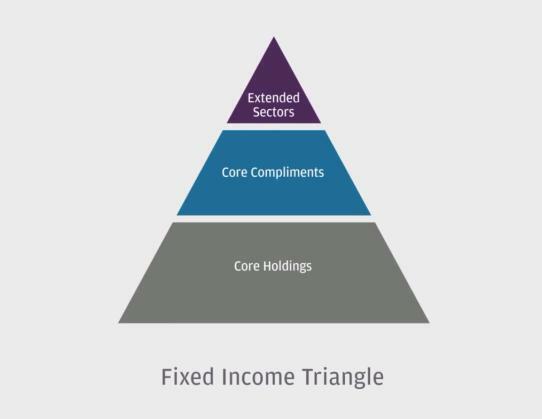 The underlying index is comprised of U.S. equity securities selected to represent quality factor characteristics. For an overall value play, Rogers recommends investors look at the JP Morgan US Value Factor ETF (JVAL) , which tracks the JP Morgan US Value Factor Index. The underlying index is comprised of U.S. equity securities selected to represent value factor characteristics. This has posed challenges for not only equities, but the fixed income markets--specifically areas that were tried-and-truel safe-havens when stock markets go awry. "Think about investment grade, high duration--that's seen a lot more volatility than many investors had expected," said Rogers. "We believe that not only is that a challenge it's also an opportunity, especially when you look at the ultra short side of the curve where you can actually get paid now. Whereas if we rewound the clock two years ago you weren't getting anything." The default bond play to get broad-based exposure might be the iShares Core US Aggregate Bond ETF (AGG) , which tracks the investment results of the Bloomberg Barclays U.S. Aggregate Bond Index. The AGG gives bond investors general exposure to the fixed income markets, but there are times when current market conditions warrant a deconstruction of the AGG to extract maximum investor benefit--one way is through factor-based methodologies inherent in the JP Morgan US Aggregate Bond ETF (JAGG) . JAGG seeks to provide long-term total return by principally investing in corporate bonds, U.S. treasury obligations and other U.S. government and agency securities, and asset-backed, mortgage-related and mortgage-backed securities--all of which are rated investment grade by a nationally recognized statistical rating organization or that are unrated but are deemed to be of comparable quality.